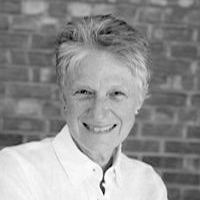 Susan Opotow’s research focuses on injustice and investigates the socio-political/ psychological contexts in which the scope of justice — the extent of our justice concerns for others — widens or narrows. Dr. Opotow’s theoretical work on injustice is based on my empirical studies utilizing quantitative, qualitative, and historical methods to examine how, when, and why injustice directed at marginalized groups is rendered ‘normal.’ Dr. Opotow also studies the complementary, inclusionary process, when justice concerns, rights, and resources are extended more broadly within a society to widen the scope of justice. Dr. Opotow has situated this scholarship within several productive contexts that include environmental conflict, public schooling, post-war (i.e., USA Civil War, World War II) change, and museum exhibitions on historical injustice.